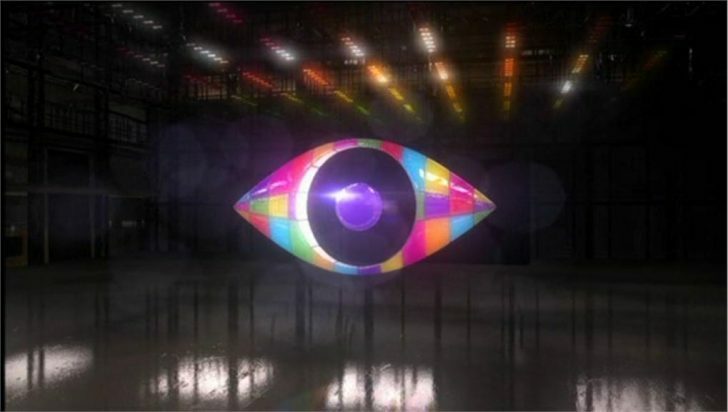 Recap of day 48 in the Big Brother house; highlights show Monday 23 July 2012. Housemates are reading the letters from home they received yesterday. However, only nine were delivered; as Ashleigh failed her part of the task, Deana was the unlucky housemate who did not receive a letter. Deana is still disappointed and has come to the diary room to talk to Big Brother. “I’m feeling sad, I’m missing my mum,” she weeps. Deana says that she was looking forward to getting a letter and now feels “let down.” Big Brother asks her if her fellow housemates have been “sensitive” to how she is feeling and Deana says they are aware that she is upset. “The friends that I have in here have been supportive, so I don’t need sympathy from anyone else,” she adds. Some of the housemates are in the garden. Ashleigh has come to speak with Big Brother. She is clearly upset and mentions her failure during yesterday’s task. She explains that although she and Deana don’t always get on, “everyone deserves a letter from home.” Ashleigh starts to cry. “I feel horrible; I just want her to have her letter. I don’t even want my letter,” she sobs. Big Brother asks Ashleigh if she has spoken to Deana about it. “I have, but I don’t think she really wants to speak to me,” she mutters. Ashleigh and Luke S are in the garden. She stares straight ahead as he mentions how nice the day is. “We should be plane spotting,” he suggests but Ashleigh looks indifferent. “I like your hair tied back,” Luke S comments. “Do ya, I think it looks horrible like this?” she quibbles while still looking straight ahead. They then sit in silence. In the living room, Deana is watching the housemates in the garden and mentions that her group should “sort themselves out.” “I don’t’ care about that s**t anymore, everything happens for a reason,” ponders Luke A. Deana says she understands what he means but still thinks they should put “the best of ourselves forward.” “Yeah, but I don’t want to cheat,” Luke S replies adding: “I don’t’ want to do the whole pretend to be friends with someone for the sake of them not nominating me,” like some of their fellow housemates are doing. Deana and Adam agree. Adam is asleep on the sofa. Ashleigh is in the bedroom with something on her mind. “Whoever left s**t marks in the toilet needs to get tissue and wipe it, that’s not normal!” Some of the housemates grimace and Luke A asks Ashleigh if she has asked Adam. Adam walks in and Ashleigh poses her question. “Yeah,” he grins. Big Brother has gathered housemates on the sofa to reveal the results of today’s task. Housemates had to complete the course in 10 minutes but completed their attempt at Spin Break in 8.29 minutes. Housemates received a pool party with a BBQ, banging tunes and an array of inflatable pool toys. Ashleigh has been called to the diary room. She tells Big Brother that she feels “a bit sad” today but is starting to feel better. Big Brother mentions her failure to secure Deana’s letter from home during yesterday’s task and asks her if she would like the chance to rectify the situation. “F**k off! Yeah I would, I would love that and Deana would love that!” she yells. Ashleigh must dress up as a clown and entertain her fellow Housemates in order to win the letter. Big Brother calls Sara to the diary room to help apply the appropriate make up. Therefore, Sara and Ashleigh are the only two housemates who know that Ashleigh’s task is for the letter. Most of the housemates are in the garden and laugh as Ashleigh reveals her new look. Deana quietly asks Caroline why Ashleigh is made-up. “It’ will be because Ashleigh f**ked it up for you,” she guesses. Conor is in the diary room talking about nominations and says that Monday is his “favourite day.” He continues “Everyone is now best friends,” and mentions that come Monday “People will be staying away from each other.” Conor claims that Deana, Sara and “possibly Scott and possibly Rebecca” will nominate him as they are the housemates he has not got a real connection with. Deana, Luke A and Adam are considering divine intervention. The three housemates are at the sofas and Deana mentions that they need to do “serious prayers” to prolong their time in the house. “The only person more powerful than Big Brother is God” she smiles. Scott and Caroline are in the bathroom, discussing which of their housemates they deem to be cool. Caroline thinks that Luke S fits the bill. “I think it would be very cool for them to be connected with me!” Scott smirks and tells Caroline that he and Luke S “repel each other.” Caroline tries to convince Scott of Luke S’ coolness but Scott still protests. “He’s like someone at Camp America, he’s so into himself, 100 percent confident of what he thinks and him being correct, it’s irritating when someone talks over me and bypasses me and dismisses me,” he fumes. Scott tells Caroline that she has one person in the house that “irritates” her and so does he, “It’s subconscious, not on purpose,” he adds. Housemates are getting ready for bed. Deana is in the living area with Luke A and Adam with their heads bowed and hands together, ready to pray. “Please let tomorrow be good for me, Luke And Adam,” she starts. “Luke A,” Luke A corrects and they all laugh. “Let us soldiers survive this war,” Deana continues. Ashleigh has come to the diary room and says that housemate it has been “a lovely day” but fears tomorrow will be different due to nominations. In the living area Adam has taken the lead during prays adding: “We appreciate you, thank you for putting us here, give us courage and strength.” Deana interjects adding: “Either way I’m thankful,” and her Adam and Luke A begin to laugh. “Just forgive Deana for her selfish thinking,” prays Adam. “God, I’m not selfish,” giggles Deana as all three laugh.